This is Riley. He is 6 years old. He is a sable German shepherd dog, he lives to chase squirrels and eat bumble bees and play all day with the family. 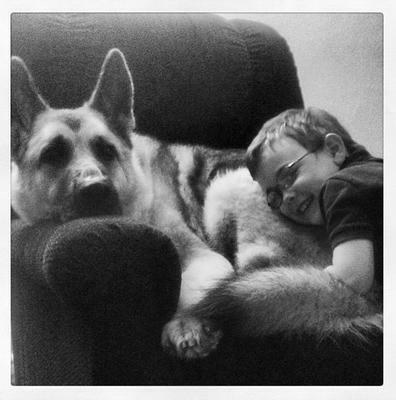 Thanks so much for sharing this great picture of your German Shepherd, Riley with us all here. What a great picture! Thanks again for sharing your handsome boy with us!! German Shepherds Rule!! Riley is a handsome Shepherd! He looks happy, healthy and Spoiled! German Shepherds are Amazing, they are Intelligent, Loyal, Protective and Loving. Take care of your boy and he will take care of you!